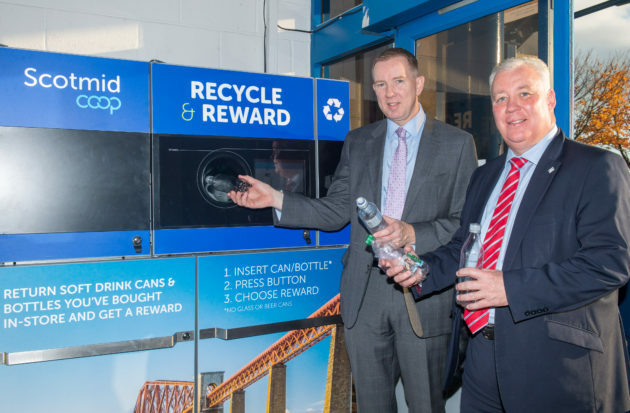 Community retailer Scotmid Co-operative have unveiled their first-ever reverse vending machine to encourage customers to recycle soft drink cans and plastic bottles with funds donated to leading environmental charity Keep Scotland Beautiful. 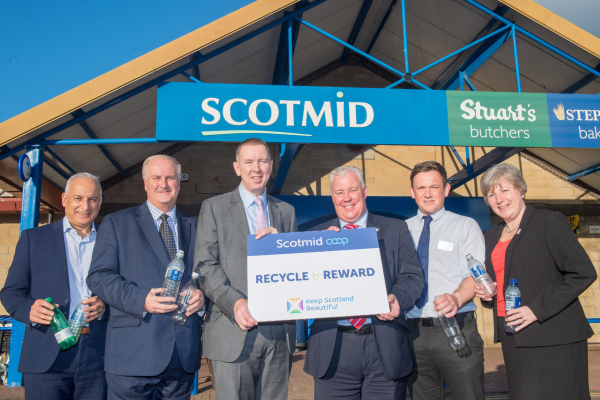 Entitled ‘Recycle and Reward’, the eco-friendly scheme, already popular in many countries including Scandinavia and Germany, has been launched for a three-month period in Scotmid’s South Queensferry store – a World Heritage site and a coastal town. Derek Robertson, Chief Executive of Keep Scotland Beautiful said: “We’re delighted to be partnering with Scotmid on this exciting initiative. “Litter is an increasing problem in Scotland and we believe people must change their behaviour and do the right thing with their cans and bottles. “We hope it will help encourage people to make recycling part of their everyday activities, removing the opportunity for single-use items like plastic bottles to become litter on land and in water. The reverse vending machine has been produced by TOMRA Collection – a leading partner for reverse vending solutions for collecting, reusing and recycling cans and bottles. Image below (left to right): TOMRA Senior Account Manager Zak Miller, Scotmid Head of Format and Food Development Mike Gordon, Scotmid Chief Executive John Brodie, Keep Scotland Beautiful Chief Executive Derek Robertson, Scotmid store manager Graham Philip and Scotmid Deputy Secretary Shirley MacGillivray pictured outside the South Queensferry store to mark the launch of the Recycle and Reward initiative.